London 1943. Successful ventriloquist Raymond Carter begins receiving death threats over the telephone. These calls are especially unnerving as the threats are made in the voice of his dummy, Charlie Dokes. Disturbed, Carter calls on the services of private detective Johnny Hawke to get to the bottom of this bizarre case. However, when one of the cast of Carter's radio show is brutally murdered, the ventriloquist becomes a suspect and the investigation begins to take a dark and surreal path. This not only places Johnny in danger, but also those who are close to him. 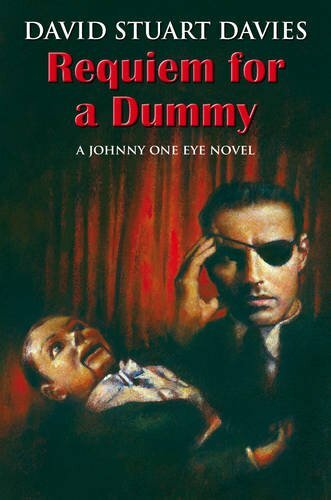 This complex mystery thriller, the fourth in the "Johnny One Eye" series, is set against the grim backdrop of war-torn London, and is told with wit, humour and suspense.